Honestly, I’ve never used the Opera Browser on a laptop or desktop before. The only time I used it was on my old Sony Ericsson P990i mobile phone. But that was a long time ago. For all I know, both the Opera Mini browser for mobile phones and the Opera desktop browser have probably gone through several revisions already. 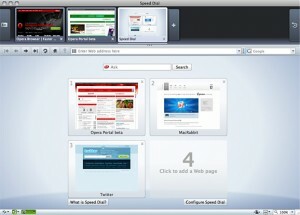 You may want to give Opera a try on your Mac, get it from here.